Seeing is believing and a good plan does just that. Visualizing options on paper is a step that helps you to understand, discuss and make decisions with more confidence, keeping your project on schedule and on budget. 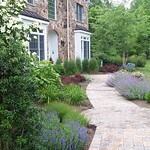 Landscape installation and creative planting can transform your home and environment. Nature is a canvas where color, size, season, growth rate, function and placement is at our disposal to create your unique balance, your masterpiece. 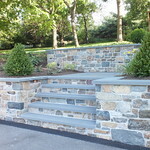 Patios, Walkways, and Retaining Walls all add to the flow and function of your outdoor space. 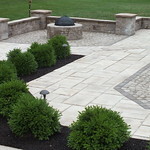 It's the bedrock architecture of your outdoor environment, your home's transition to it's natural surroundings. If you can dream it, we can build it. 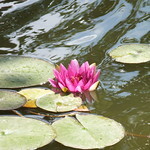 An outdoor oasis is a place that rejuvenates the soul and flows with life itself. From entertaining to peaceful seclusion, let your natural surroundings accentuate your experience. 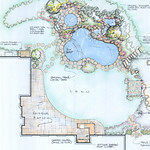 Water is refreshing in so many ways you have to consider it in any backyard retreat. 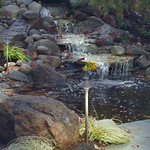 From pool, to waterfall, to babbling brook, it's a feature that a landscaper must master. Food and fire, now we are getting basic! Primordial for many, an inspiration for others. 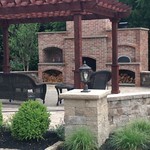 Outdoor kitchens, fire places, and pergolas complete the outdoor lifestyle by bring outdoor comfort to new levels. As the sun sets, nightscaping is what gives you an entirely different way to transform and see your landscape. From dramatic focal points to whimsical paths, lighting can complement features, plantings and structures in a way that brings everything to a new level. 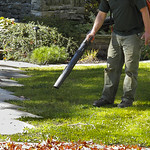 Residential or commercial mowing, Spring/Fall clean-up, tree and shrub pruning, mulching and residential or commercial snow removal. People find us a wonderful alternative to maintaining things their your own! Web Development by ITO, Inc.